With the puck about to drop in Boston for the Eastern Conference Finals, the Vancouver Canucks and San Jose Sharks are living up their last day of rest while they wait for their series to kick off north of the border in Vancouver. The Canucks finished off a very tough Nashville Predators in six games, while the Sharks avoided a near historic collapse beating the Detroit Red Wings in seven games. This series brings together two franchises with a recent history of playoff failure. The Sharks are looking to make it to the Stanley Cup finals for the first time in franchise history, while the Canucks are trying to make their first trip to the finals since 1994. The two teams are coming in as the top two seeded teams with the Canucks being the number one seed. Both teams have had their share of scares through the first two rounds of the playoffs, surrendering 3-0 series leads and needing a game seven to finish out the series. The Canucks will look to Ryan Kessler to continue his stellar play through the next round, he had acquired 15 points through the tournament 11 of which came in the second round against the Predators. 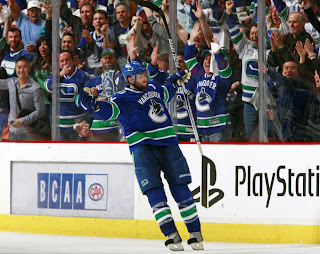 While riding on the back of Kessler they would probably like to get some more production out of star twin duo Henrik and Daniel Sedin who between the two of them only found the net twice in the Conference Semifinals. With the offensive weapons stepping up and Vezina candidate Roberto Luongo continuing to backstop the team when needed the Canucks may be able to ride into the Cup finals. 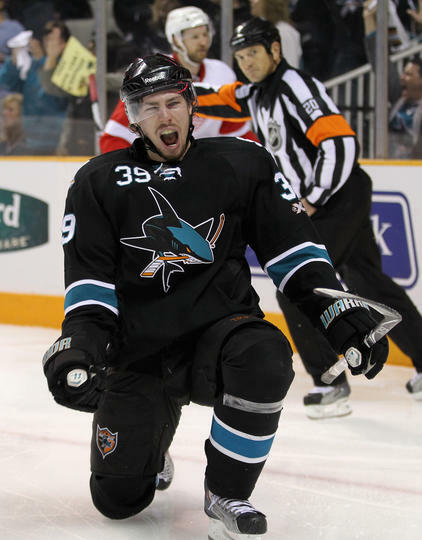 The Sharks are coming out of a series that may have taken its tole on the team, taking seven hard fought games to decide a winner. The Sharks have received stellar goal tending from Antti Niemi, who won the Stanley Cup last year with the Chicago Blackhawks and will be a key asset for the Sharks knowing what it takes to go the distance. 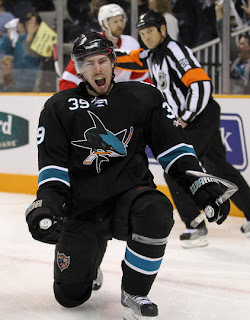 Through two rounds the Sharks is lead by possible rookie of the year, Logan Couture with six goals and in points by Ryan Clowe, who has been listed day-to-day since the 10th of May, with 13 points. What the series will come down to is which team's star players will produce and pull their team out of a hole or two. Patrick Marleau who scored the series winning goal for the Sharks last round, quieting some of his critics, had only found the back of the net twice previous to that goal, in the ENTIRE playoffs. Hello? Mr. Marleau it's the post season. While the Sedin twins often make defenses look silly with their tick-tack passing they were virtually invisible through the second round of the playoffs. The Sedins will have more room to move this round, playing a team that is much less gritty then that of the Predators, resulting in more offensive production for the two. 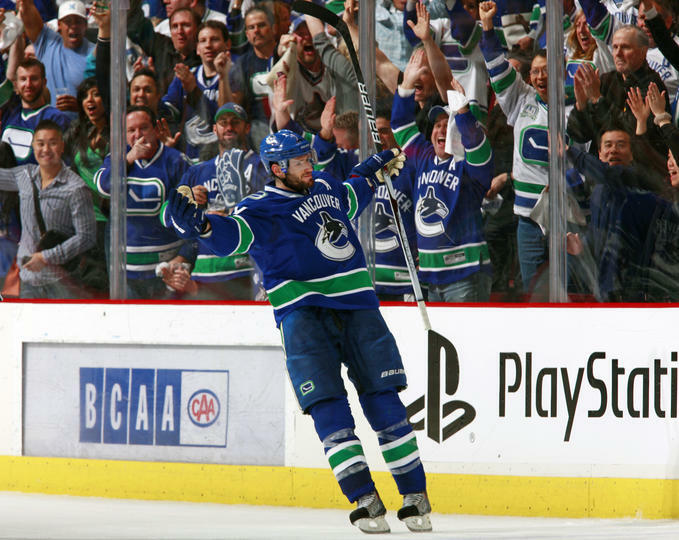 Canucks in 6.